If there’s one thing that truly sets Creative Business Services apart from the pack, it’s writing! Whether it’s for your web site and/or blog, company literature, sales letters, newsletters, email campaign, video production, you name it, we’re writers, connected to plenty of other writers. In your business, you probably have competition. Writing is different. Great writers are not competitors, they’re colleagues. The need for great writing is endless. Each of us have our specialties. We admire each other and cheer each other on. There’s another aspect to writing that non writers tend not to think about. It can’t be technologically advanced. There’s no button you can push and get great writing dispensed like a vending machine or drive through window. It is only achieved through gifted human effort. When you were in school, they told you they were teaching you to write. They lied! They did (hopefully) teach you grammar, spelling, sentence structure, and so on, but writing can’t really be taught. It is a gift developed with time and practice. Once mastered, the benefits to you are staggering. For one, it is under appreciated by most business owners. That alone provides its own advantage. While your peers treat writing like a commodity and settle for mediocrity, you have the opportunity to rise above and plunder their market. Maybe that’s mean, but us writers do have that nasty side when you turn us loose to exercise our competition crushing abilities. 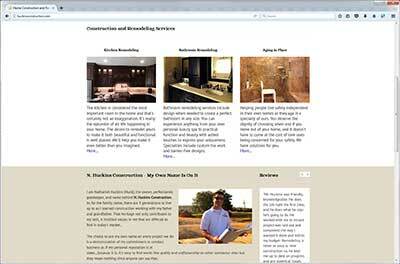 Steve Chittenden wrote (rewrote actually) nearly all the content for Huckins Construction. Huckins is a high end remodeling company specializing in helping people with limited mobility live independently in their homes. Their local market has a high concentration of elderly people who need this specialty. The company site not only gets consistently top ranking, you’ll be able to sense how the content specifically appeals to the target market. 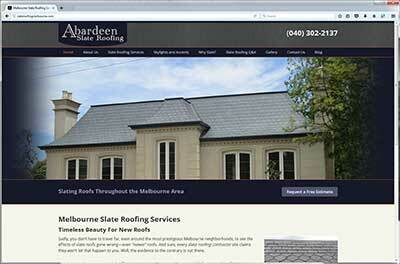 Melbourne, Australia packs some brutal weather during certain parts of the year that is particularly abusive to roofing. Slate roofing is the material of choice to protect homes and buildings from the elements but like all trades, the differences in material quality and installation skill vary greatly. Unlike installing man made materials, slate roofing spans centuries of proven wisdom. The writing for this site showcases this very proud heritage. There probably aren’t too many trades that are exempt from commonly held myths but given how the web design industry is especially plagued, we could identify with the challenge faced by DXair. 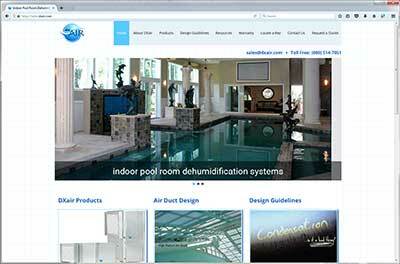 Indoor pool room humidity is a serious problem but the solutions too often make the problem worse. Exposing flawed logic is always fun and writing for DXair to promote effective solutions that don’t introduce maintenance nightmares is rewarding.